Marco saw his hopes and dreams crumble before his eyes, barely scraping a living in his western Guatemalan town as it fell victim to drugs and gangs. That’s when the 15-year-old joined the thousands of minors making the treacherous journey from impoverished Central America to the United States in search of a better life. In Sahila, he could only earn a few quetzals by cutting grass, but his mother lives in the United States, and so he set off to join her and fulfill his hopes of becoming a mechanic. “I told my mom I did not want to be there and she would say, ‘Yes, okay, calm down,’ but she never really told me I could come,” Marco told AFP after arriving on U.S. soil. His dangerous trek took him across the border into Mexico on a boat before walking for hours in the desert, dodging snakes, sleeping in warehouses and battling gnawing hunger. “The first night, we ate normally. But the other days, we did not eat in the afternoon,” Marco recalled. Marco is not his real name. Like others interviewed by AFP for this story, he asked that his identity be withheld, fearing law enforcement authorities since arriving in the United States illegally. He passed through the hands of two “coyotes,” or smugglers, and in Mexico, a bus driver snatched his last pesos. Tens of thousands of migrants each year chose to clamber onto “The Beast,” a network of trains crossing Mexico from south to north, to reach the US border. Most ride on the roof. At least 57,000 children have made a journey similar to his alone since October, triggering a migration crisis that has sent US border and immigration authorities into a frenzy. Those arriving to the United States alone from a non-contiguous country without legal documents are often stopped by border patrol agents. Within 72 hours they are sent to shelters where they receive legal advice and medical and psychological care. When they have relatives in the country, they are delivered into their care pending a court review of their case. Marco still has no hearing date. The same is true for Pedro, a very shy six-year-old. His mother Mary, an undocumented migrant herself living in the Hyattsville suburbs of Washington, had traveled to the United States two years ago with two cousins from the coastal town of La Libertad in El Salvador on a five-day journey using buses and taxis. “Necessity” motivated Mary to summon her young son to follow her on the perilous journey after learning that gangs were making their way into his school. 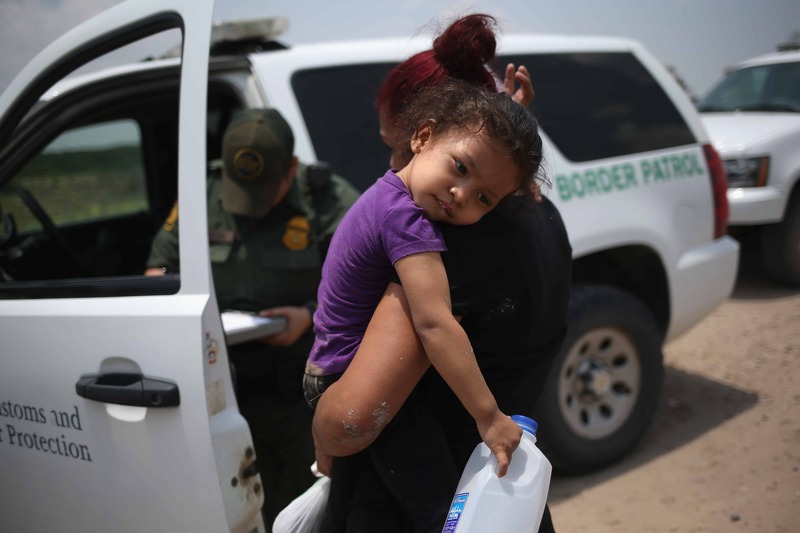 Her dilemma is common, and makes the task of U.S. border patrol more difficult as it deals with a surge of people who are perhaps as much refugees as they are migrants. On Friday, the leaders of El Salvador, Guatemala and Honduras pressed U.S. President Barack Obama to address the root cause of the jump in migration: deep poverty and rampant violence. The children traveling with Pedro left their homes with some money in their pockets and following directions by adults who had made the journey before. Everything was going fine until gunmen stormed the bus in which they were traveling. Pedro laughed and played with his mother, but she has nightmares and is seeing a psychologist to deal with the trauma. “I need to get rid of all this trauma,” she said. Before leaving, Marco had called his mother, Rosa, asking for money for shoes, but did not tell her more. It would be another 40 days until she heard from him again. That came in the form of a phone call by U.S. immigration agents to let her know he had been detained near McAllen, Texas, more than 2,000 miles (3,200 kilometers) from home. But Rosa could not believe it and was initially convinced her son had been kidnapped in Guatemala. “Knowing what they experience on the road, the risk of great danger, I could not have him brought here. I was scared,” said the 36-year-old mother, who has two more children with her husband and has lived seven years in the United States. The last time she had seen Marco, her oldest son, was eight years previously.